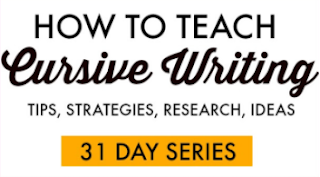 If you are looking for ways to work on handwriting and pencil control, then you are in the right place. This Occupational Therapist loves to teach kids handwriting. Neatness counts when it comes to writing on the lines and being able to read that homework assignment a few hours into the nightly after-school ritual. 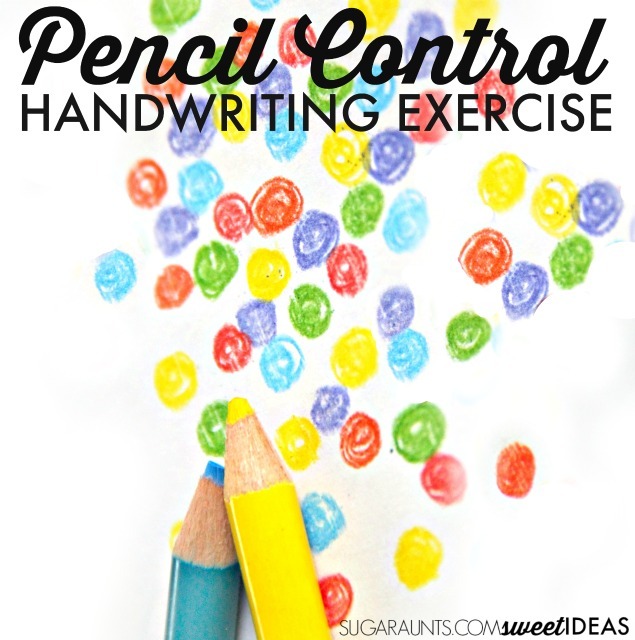 Today, I've got one easy tip for helping kids to manage with pencil control in order to write on the lines at an age-appropriate speed. 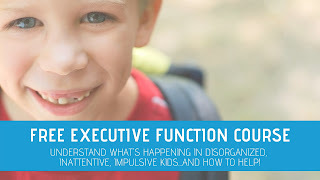 This activity is perfect for kids from Kindergarten on up through school-aged. 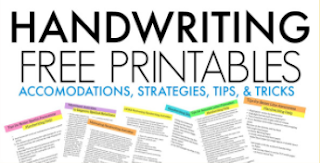 Anyone who is writing with a pencil and trying to form letters on lines, copy written work, fill in worksheets, and take notes will love this handwriting exercise in pencil control. 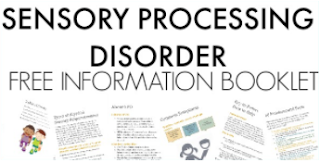 This activity is really, so simple. There is nothing you need more than a pencil and paper. We pulled out colored pencils to make our handwriting activity into a rainbow of color and to add a visual scanning component. With this activity, we're working on keeping the pencil strokes within the lines of a small circle. Draw a bunch of circles in different colors on a piece of paper. The circles should be 1/4 inch in diameter. 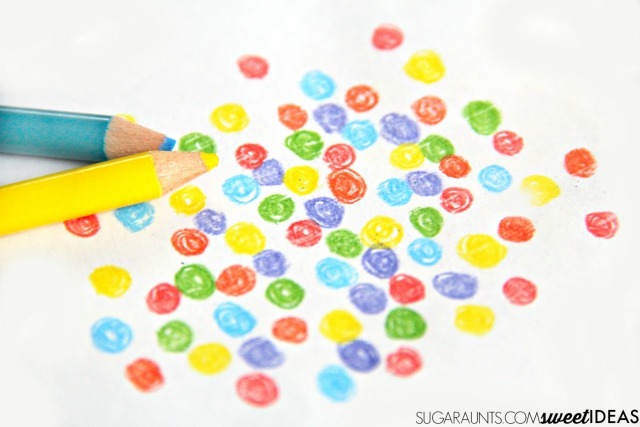 Ask your child to fill in the circle with the matching colored pencil. A red circle should be filled in with the red colored pencil. The objective here is to fill in the whole circle without going over the lines. Because the circle is so small, filling it in with the colored pencil requires very small muscle movements of the fingers. A child who uses their wrist or forearm to write (such as a child using a grasp such as the thumb wrap grasp, for example, are over compensating for weakness and lack of endurance of the intrinsic musculature in the hand and utilizing a stabilizing grasp. This overcompensation does not allow fluid motions of the fingers when moving the pencil in handwriting. 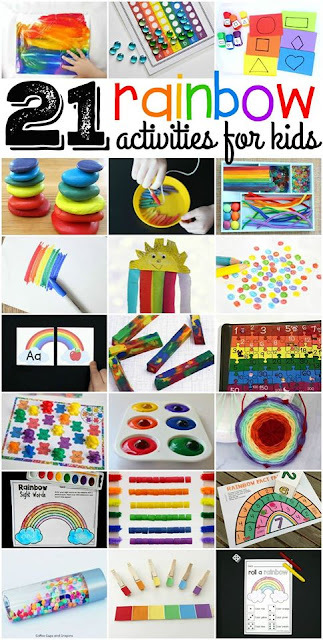 Because the circles are so small, the child can focus more on using the small motor motions to fill in the color. Ask your child to draw an "X" in each circle, without going over the lines. Ask your child to draw horizontal or vertical lines within each circle, much like we did here. 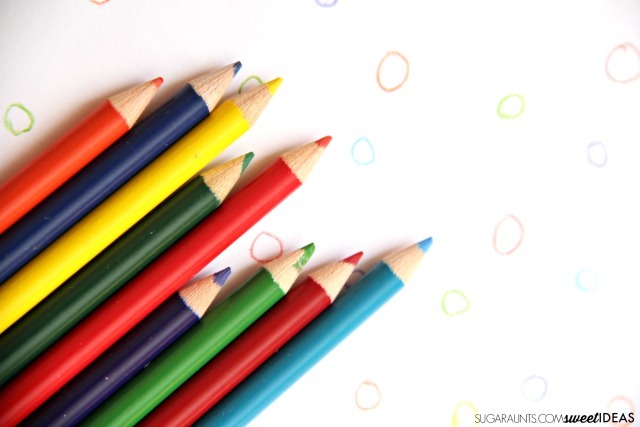 Create a color coding activity: Match one circle color up with another pencil color. 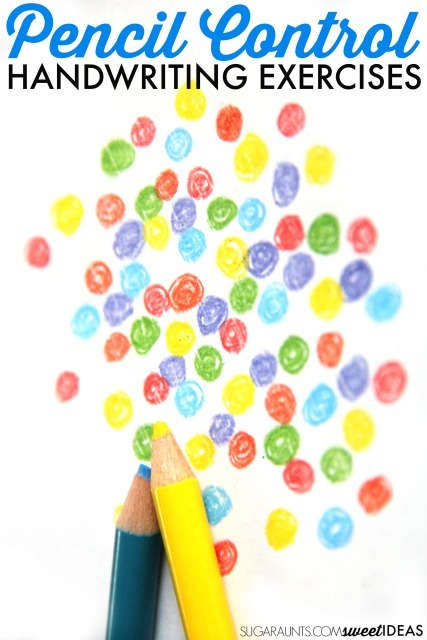 When you call out a color, your child can fill in that colored circle with a different, predetermined colored pencil. This is a test of visual scanning and quick thinking. 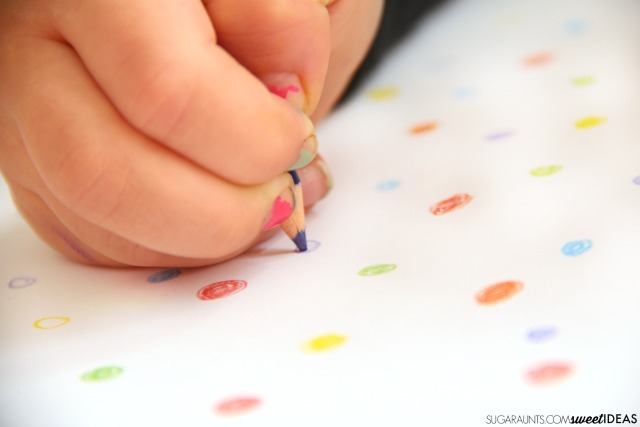 Draw larger circles and show your child how to fill them in with strait pencil strokes. Like this idea? Share it on Facebook!